Is someone with an IQ of 150 a genius? What would you say about someone with an IQ of 50? Our medical understanding of mental disabilities such as autism and Down syndrome has increased dramatically over the past several decades. And yet our cultural understanding of these conditions often feels as though it were stuck 100 years in the past—thanks in no small part to our antiquated and often discriminatory testing and interpretation of “intelligence,” designed to boil a person’s entire intellectual value down to a single number. 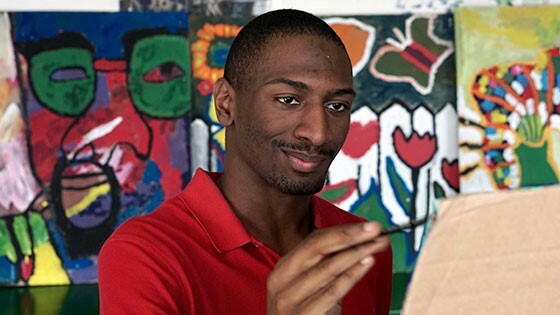 Narrated by Academy Award winner Chris Cooper, INTELLIGENT LIVES follows three young individuals with mental disabilities through their day-to-day lives, revealing the love and compassion they inspire in their families and friends, as well as the art and value they bring to their communities. INTELLIGENT LIVES doesn’t just ask for empathy, it commands respect for a class of people who have been victimized by systems that have long refused to extend them the hand of opportunity.